Mongo is really enjoying this series; especially the more creative and abstract images of sunrise/sunset. I had a feeling this thread would be special. Anirban, Delhi 2009, super special! The last rays from the setting sun make the algal film of these seashore cliffs glisten and glitter in warm hues against the dominant blue colours of a Nordic evening. I've never seen an algal film photo this beautiful. Good one, Mr. R. Shapes, colors, composition and mystery. Sunset at the Kelso Dunes in the Mojave Desert. 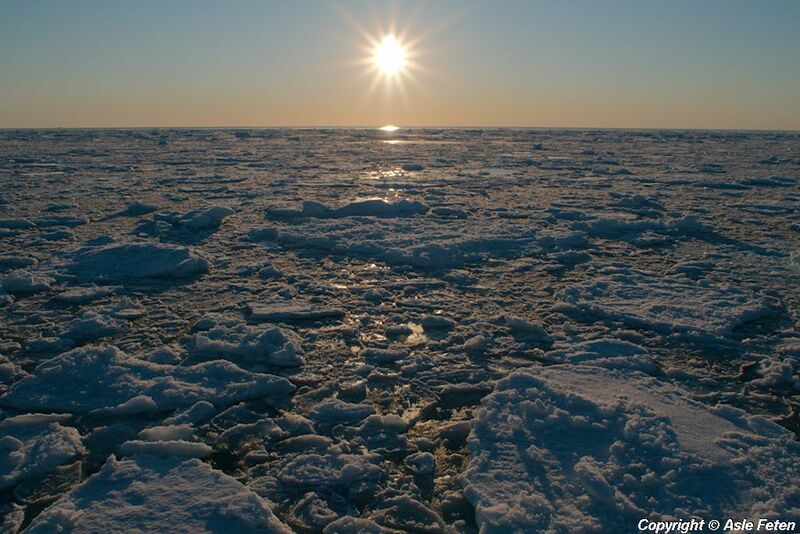 The sun over sea ice east of Greenland. Nikon D800 with Takahashi FSQ-85.